Fuel refiners are constantly working to improve methods in order to optimize output and improve profitability. Even though changes in refining methods and new sources of crude stock can be economically advantageous, they routinely require new characterization for cold weather operation, i.e., more extensive lab testing and treatment response. Weather-related failures could often occur at higher than expected temperatures in addition to those that come with the extreme cold. Sometimes these issues occur even when users presumably treat fuel properly for the winter. If you use #2 diesel and live in regions north of the yellow areas in the map to the right, then, you’ve probably experienced issues with diesel fuel-operability(wax separation, icing, gelling). We now know that traditional winter treatment methods are not always effective in modern fuels but answering why is not always simple. In order to correctly identify the proper treatment program, more thorough and comprehensive testing methods can be used. For instance, testing for n-paraffin distribution can greatly help to classify different fuel sources. Diesel is composed of about 75% saturated hydrocarbons. Traditionally, typical refined ultra-low sulfur diesel would have an even distribution of n-paraffin carbon chains gradually increasing and peaking around C-16 to C-20, then gradually decreasing. After running a number of n-paraffin distribution content curves (as seen above) it was found that fuel wax content varied greatly from sample to sample across the US. Therefore, determining the proper fuel treatment protocol varies from region to region and fuel to fuel. Understanding how the fuel you handle reacts to treatment will help determine the proper winterization method(s). Many factors, including modern fuel refining processes and new crude sources, have resulted in harder to treat fuels throughout the nation. 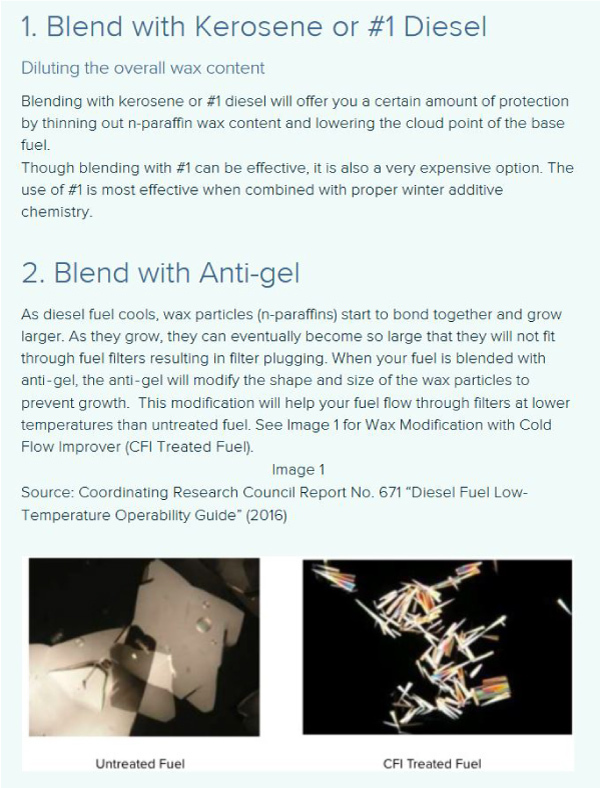 These fuels contain irregular or unpredicted concentrations of n-paraffin waxes and require additional methods to effectively test and treat for cold weather operability. Higher concentrations of anti-gel and WASA are commonly required, and often the use of #1 fuel is also necessary. 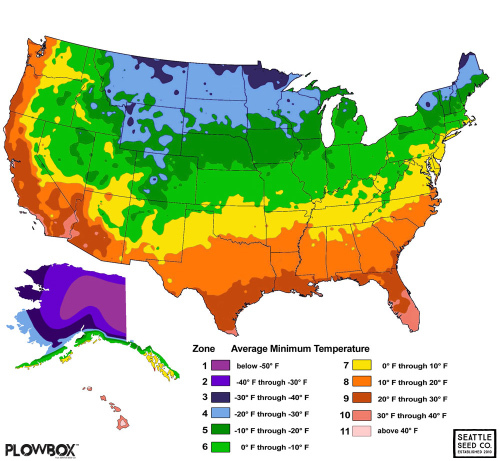 1) The CFPP temperature is not the only measure of a fuel’s cold flow performance. 2) Do not focus 100% on the CFPP. As many now have seen, operability failures almost always occur before reaching a CFPP test number. 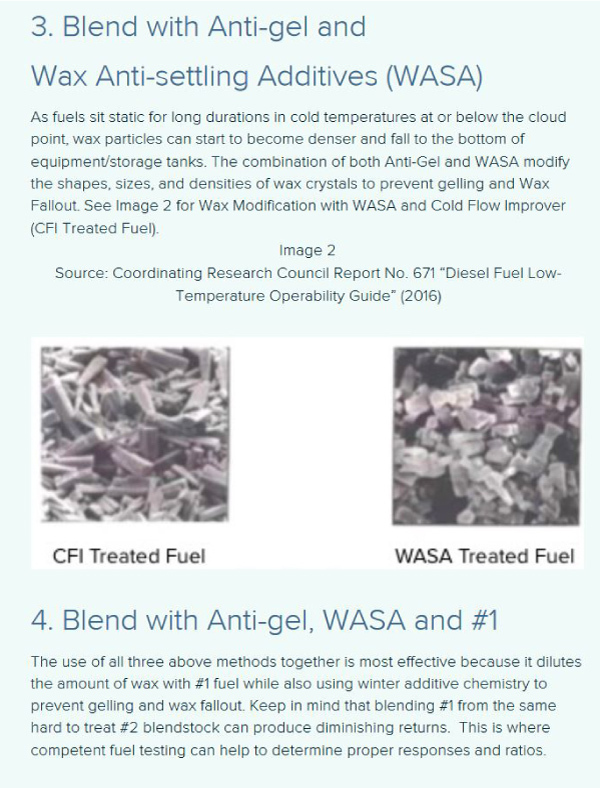 You may better understand CFPP as an indication of whether or not additives are effectively attacking the waxes and whether a fuel source is harder to treat than normal. 3) When the difference between Cloud Point and CFPP is not as expected in a treated fuel, it indicates further testing or analysis be completed for best recommendations of cold flow additives and or blending.